Salsa and sour cream mixed with chicken breast strips, red bell peppers, mozzarella, aged cheddar, and sprinkled with dried chillies. Spicy blend of hot sauce, parmesan, chicken breast strips, red bell peppers, chives, mozzarella, and sprinkled with dried chillies. A tangy ranch sauce, chicken breast strips, red bell peppers, chives, mozzarella, with black pepper. 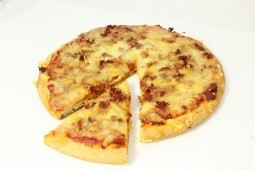 Our burger sauce, lean ground beef, smoked bacon, white onions, mozzarella, and aged cheddar. Sweet Italian sausage, mushrooms, green bell peppers, tomato sauce, oregano, mozzarella. 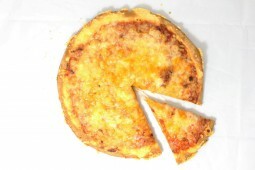 - 7" Square crust, personal sized. 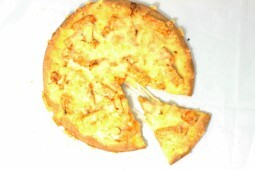 - Gluten Free Crust - Tastes great - 100% Guarantee 6" x 6"
Our gluten free crust, sun ripened tomato sauce, 100% real mozzarella and aged cheddar. 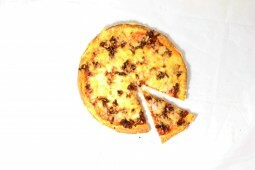 Our gluten free crust, dry cured pepperoni, black forest ham, sun ripened tomato sauce, with 100% real mozzarella. 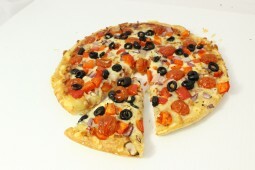 Our gluten free crust, a blend of 100% real mozzarella, aged cheddar, tomatoes, sprinkled with oregano. 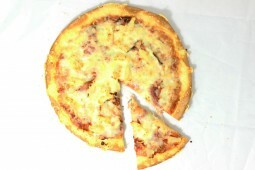 Our gluten free crust, black forest ham, pineapple chunks, sun ripened tomato sauce, with 100% real mozzarella. 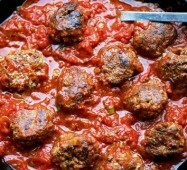 500g - Vine-ripened fresh tomato sauce, blend of extra virgin olive oil and sunflower oil, fresh sauteed onions, roasted garlic, fresh basil leaves and a blend of spices. 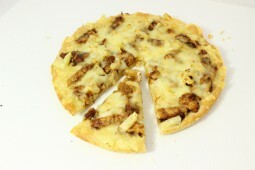 200g - A great classic, savory mix of freshly grated Romano cheese and four nuts blended with the finest fresh basil. Raw and loaded with flavor. 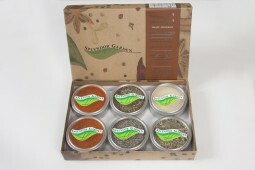 200g - The new taste of sun-dried tomato pesto: packed with Mediterranean sun and enhanced by Fines herbes de Provence. It’s a delight! - Indulge in something special and unique! 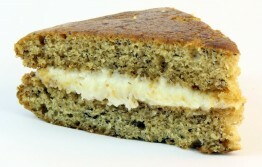 2 x 480g - A layer of sweetened cream cheese between two baked banana bread crusts. Ready to eat & served cold. Two pcs packed in a box. 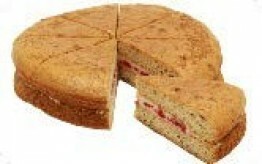 2 x 480g - A layer of raspberry cream cheese filling between two baked banana bread crusts. Ready to eat & served cold. Two pcs packed in a box. 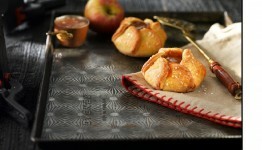 6 x 114g - Fully baked pastry made with freshly peeled Northern Spy apples. 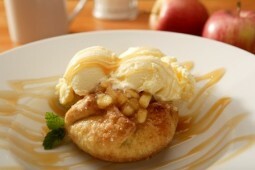 6 x 114g - Fully baked pastry made with freshly peeled Northern Spy apples and topped with real cream caramel. 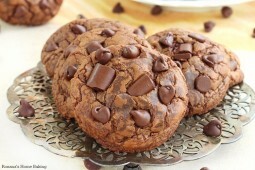 40 x 29g - Unbaked, pre-portioned cookie dough pucks. 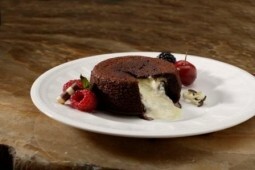 Made with Barry Callebaut chocolate. 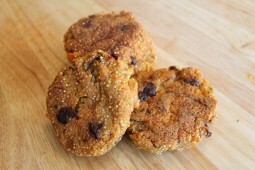 40 x 29g - Unbaked, pre-portioned cookie dough pucks made with sweet potato, craisins and oats. 40 x 29g - Unbaked, pre-portioned cookie dough pucks. 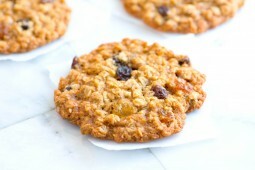 Made with oatmeal and raisins. 40 x 29g - Unbaked, pre-portioned cookie dough pucks. 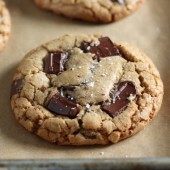 Made with all butter and Barry Callebaut chocolate. 40 x 29g - Unbaked, pre-portioned cookie dough pucks. 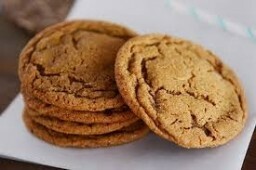 Made with molasses, ground ginger and other spices. 40 x 29g - Unbaked, pre-portioned cookie dough pucks made with sour cream, and a mix of spices. 40 x 29g - Unbaked, pre-portioned cookie dough pucks. 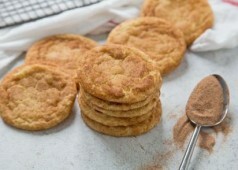 Made with sour cream, a mix of spices, rolled in cinnamon and sugar. 40 x 29g - Unbaked, pre-portioned cookie dough pucks. 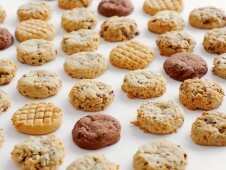 One box with four varieties: Chocolate Chunk, Oatmeal Raisin, Snickerdoodle and Ginger Molasses. 40 x 29g - Unbaked, pre-portioned cookie dough pucks made with Callebaut chocolate, dried cranberries & quinoa. 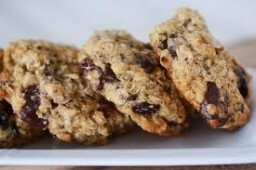 40 x 29 g - Unbaked, pre-portioned cookie dough pucks made with oatmeal, raisin and quinoa. 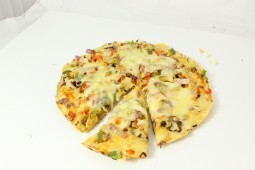 4 x 150g - 6" gluten free par baked pizza crust. 2 x 225g (8oz) AAA Rib Eye Steak individually packaged. 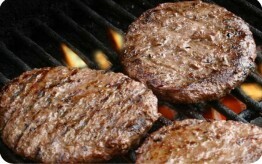 4x175g (6oz) - AAA Seasoned Prime Rib burger patties. 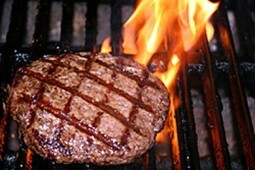 AAA or higher Certified Angus Beef. 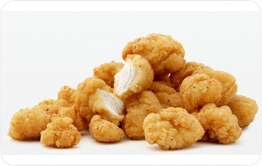 1 kg - Seasoned breaded boneless, 100% white full muscle, chicken breast pieces, fully cooked. Packaged in a resealable bag. 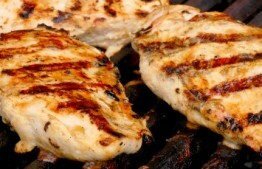 1 kg - Diced roasted chicken breast. Packed in a resealable bag. 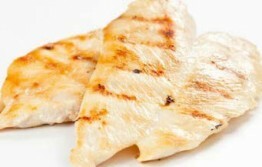 1 kg - Frozen, raw, boneless skinless chicken breast, 175g to 225g each, individually packed, packed in resealable bag. Full muscle, 23% protein. 1kg - Fully cooked breaded buffalo chicken strips. Packaged in a resealable bag. 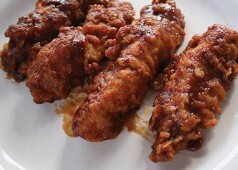 Fully cooked breaded korean barbeque chicken strips. 970g - Fully cooked chicken wings packaged in a resealable bag. Separate salt and pepper pouch included. 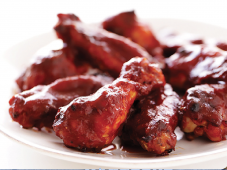 1kg - Fully cooked chicken wings packaged in a resealable bag. Separate BBQ sauce in pouch. 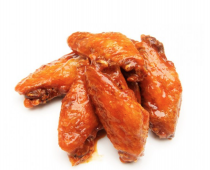 1kg - Fully cooked chicken wings packaged in a resealable bag. Separate Buffalo sauce in pouch. 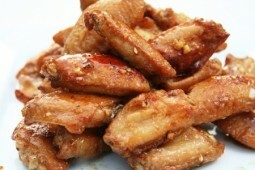 1kg - Fully cooked chicken wings packaged in a resealable bag. Separate honey garlic sauce in pouch. 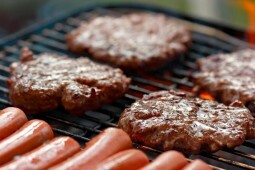 Sampler pack includes 500g Ground Bison, 1 package of 5x115g Bison patties, and 1 package of 5x85g Cheese Smokies with 100% ground bison. Freezer pack includes 3x500g Ground Bison, 2 package of 5x115g Bison patties, and 1 package of 5x85g Cheese Smokies with 100% ground bison. 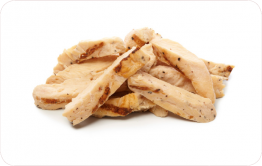 5 kg - Frozen, raw, boneless skinless chicken breast, 175g to 225g each, individually packed. Full muscle, 23% protein. 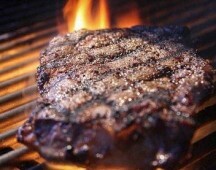 16 x 225g (8oz) - AAA Rib Eye Steak. Individually packed. 4 x 200g - Frozen, raw pizza dough made with cooked quinoa seeds and quinoa flakes. - Redeemable in person. Dine In & Take Out only. 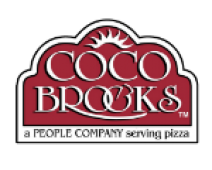 Coco Brooks Gift Card. Redeemable in person at any Coco Brooks location. Dine In and Take-out Only. 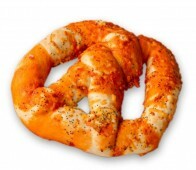 - Appetizers and snacks packed in resealable bags. 1 kg - Potato and Cheddar Perogies. Packaged in a resealable bag. 1kg - An authentic Asian taste experience. 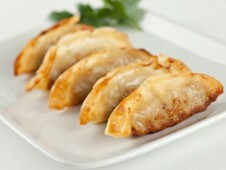 These are fully-cooked dumplings. 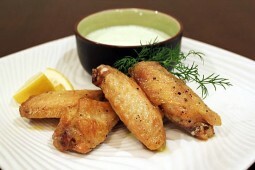 Serve them boiled, deep-fried, or in a soup, or steamed. 1 kg bag - Crispy potato bites made from real potatoes. 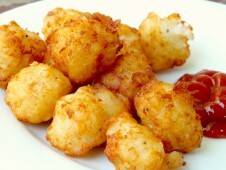 Transfat free, cholesterol free, and low in saturated fats. 10 x 142 g a piece. 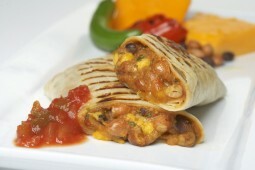 A grab and go burrito for the family with microwave instructions. Perfect for "on the run" consumers. 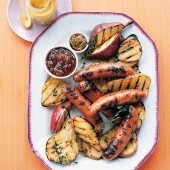 8 x 150g - Chicken breast meat sausage with pineapple and rum, in natural lamb or pork casing. 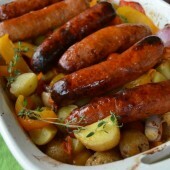 8 x 150g - Chicken breast meat sausage with apple, in natural lamb or pork casing. 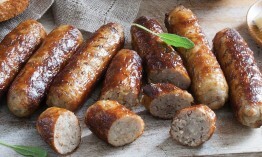 10 x 50g - Pork with maple syrup, in natural lamb or pork casing. 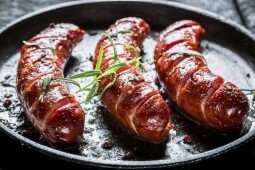 8 x 150g - Pork sausage with whiskey, in natural lamb or pork casing. 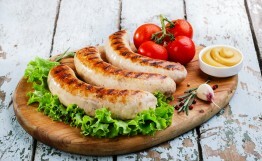 8 x 150g - Pork sausage, in natural lamb or pork casing. 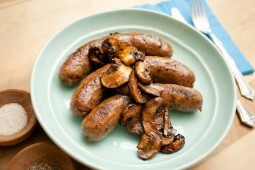 8 x 150g - Spicy pork sausage, in natural lamb or pork casing. 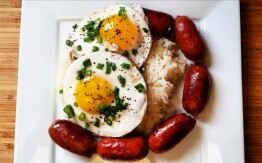 12 x 31g - Longanisa is a popular Filipino breakfast sausage traditionally made from ground pork. 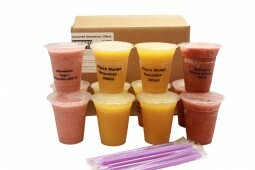 - Frozen whole fruits or vegetables repacked in 1kg bags. 1 kg - A mix of dark sweet cherries and berries. 30g - Dried cilantro packed in a resealable bag. 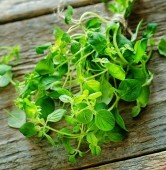 60g - Dried oregano packed in a resealable bag. 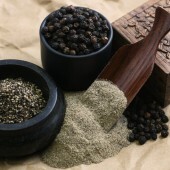 150g - Ground black pepper in resealable bag. 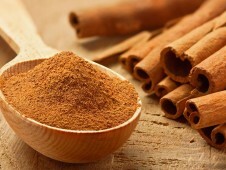 350g - Batavia cinnamon powder and granulated sugar packed in a resealable bag. 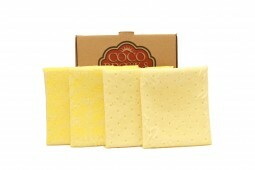 Great for sprinkling over pancakes or waffles and in baking breads and pastries. 35g - Resealable Bag. 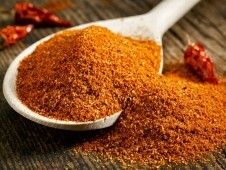 Great for spicing up your Mexican food! 40g - Resealable bag. 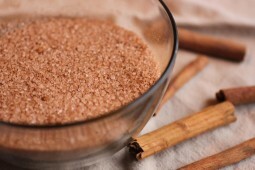 Ground Cinnamon great for desserts, or baking. 15g - Resealable bag. 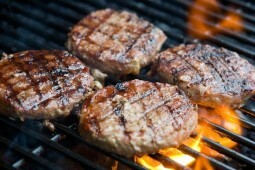 Low in Saturated fats and cholesterol. Good source of dietary fiber, vitamin A, vitamin C, Vitamin B6. 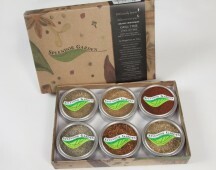 250g – Includes: Organic BBQ Rub Seasoning (40g), Organic Garlic Herb Seasoning (40g, salt free), Organic Garlic Pepper Blend (45g), Organic Smoked Paprika (40g), Organic Salmon Seasoning (45g), and Organic Steak & Grill Seasoning (40g). 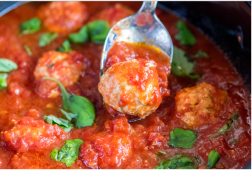 191g – Includes: Organic Basil (13g), Organic Ground Black Pepper (40g), Organic Cayenne Pepper (40g), Organic Garlic Granules (50g), Organic Oregano (10g), and Organic Paprika (38g). 35g - Resealable Bag. Great addition to steak or potatoes. 35g - Resealable Bag. 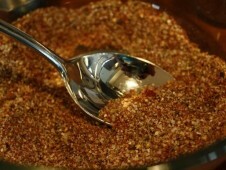 Salt-free Seasoning. 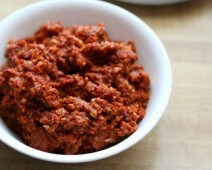 Blend of chilies, garlic, and spices makes a nice addition to your tacos. 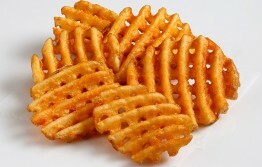 5 x 115g - Low in saturated fat. 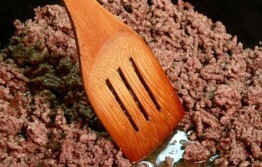 500g - 100% ground Bison. Low in Saturated Fat. 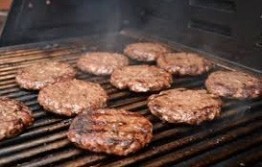 5 x 113g (4oz) - Seasoned Elk burgers. 4 x 113g (4oz) - 100% ground lamb. No additives and fillers. 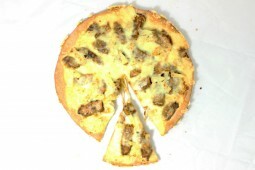 1 kg - Tender and hearty, golden brown pork ribs enhanced by a well balanced salt & pepper blend. 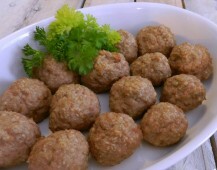 1kg - Fully cooked 0.75 oz (21g) turkey meatballs. 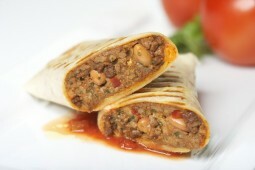 Reduced sodium, no fillers, no MSG, no artificial ingredients, gluten free. 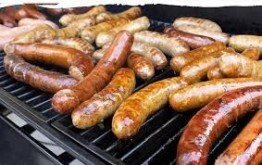 1kg - Fully cooked 1.7 oz (48g) turkey sausage rounds. 20 x 2g - Exceptionally light and smooth, this refreshing tea blends the juicy flavor of peaches with the mellow zing of mangoes. 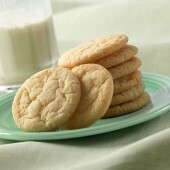 20 x 2g - With its delectable caramel flavor, Honeybush Caramel is a sweet and fitting conclusion to any meal. 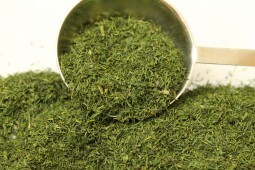 The South African herb, Rooibos, provides more antioxidants than green tea. 20 x 2g - A flavor-packed tea made from fine Ceylon and Assam teas, fresh peach flavoring and ginger root. 20 x 2g - This herbal drink has soothing properties and can help combat headaches and aid in digestion. 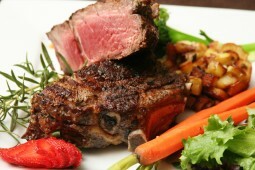 - Premium meat products from top suppliers. These specially chosen products are superior to anything else we have tried on the market! 4 skewers x 5 shrimps/skewer. 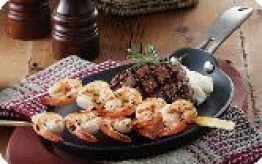 Shrimps are low in fat, no saturated fat, no trans fat, and a source of protein. 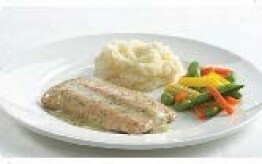 6 x 140g - Wild caught Pacific Salmon, topped with a light and creamy dill sauce. 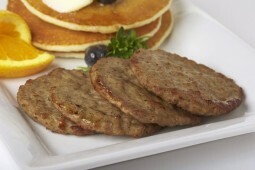 Excellent source of protein, no added hydrogenated oil; low in saturated fat and no transfat. 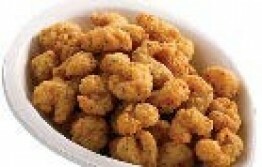 1kg - Crispy golden breaded bite-sized premium Pacific shrimp. 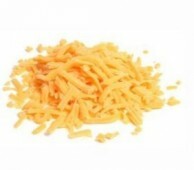 500g - Shredded cheddar cheese ready to use for all your favourite dishes, packaged in a resealable bag. 31% BF, 39% Moisture. 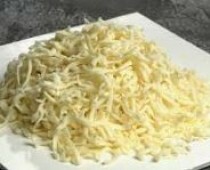 500g - Shredded Mozzarella Cheese ready to use for all your favourite dishes, packaged in a resealable bag. 29% MF, 42% Moisture. 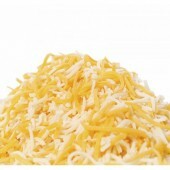 500g - A combination of shredded mozzarella cheese and shredded cheddar cheese. Ready to use for your Tex Mex dishes. Packaged in a resealable bag. 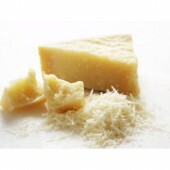 200g -Grated Parmesan cheese ready to use for all your favorite dishes. Packaged in a resealable bag. 30% MF, 32% Moisture. 2 kg- Organic, non GMO, white Quinoa from Bolivia/ Peru. 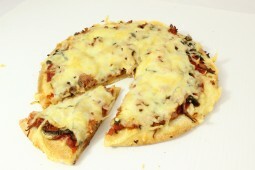 It is gluten free, non-cholesterol, very low glycemic and easy to cook and digest. 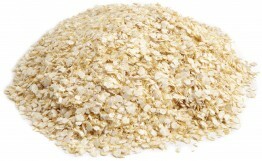 750g - Quinoa flakes are produced by steam-rolling whole quinoa grains just like oats or barley flakes. Flaked quinoa cooks faster than full grains and is ideal for use as an instant breakfast cereal. 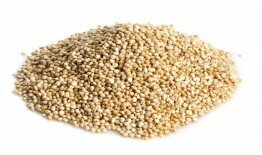 1.5kg - Quinoa flour is used for baking and resembles other types of flour. 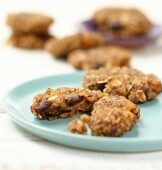 This makes a great alternative for those suffering from gluten intolerance and who require a gluten-free baking option. 6 x 300g - Cooked Chili in a 300g bag.